Whether you first saw him on television delivering line after line of stand-up gold, or witnessed his panache for mirthful humour in a movie splashed on the silver screen, you can see why Kevin Hart is one of the most popular funnymen around today. Born in Pennsylvania, Hart started out on the amateur comedy circuit, but as the turn of the millennium came, he had gained enough recognition to venture into more mainstream arenas. Proving to be a valuable asset on comedy-heavy scripts, he starred alongside some big names in multiple Hollywood productions spanning the past near-two decades. The demand for Hart grew to such proportions that he even made his own stand-up movies, with farcical titles like Kevin Hart: I’m a Grown Little Man and Kevin Hart: Laugh at My Pain. Needless to say, the nominations and awards made a beeline for him, and so did his fans whenever his name and face were plastered on a venue. Hart’s ability to fan infectious laughter across the room has to do with not just his witty take on a wide range of subject material, but his animated body language too. His smallish appearance, gestures, mannerisms, facial expressions and voices while conveying a hilarious joke or anecdote often blend seamlessly to reduce one into a happily guffawing mess. His ­current worldwide campaign to spread whimsy and wisecracks comes in the form of the Irresponsible Tour. It’s in full swing throughout 2018, sweeping across North America at a rate that peaks at one show a night! Outside his homeland, only a few countries in Europe, and others farther out like Australia and New Zealand, are privileged enough to host him this year. Even more fortunate still are the only two countries in Asia who get to welcome Kevin Hart this month – Singapore, and of course, Malaysia! On the third Saturday of December, he will shake up Axiata Arena before wrapping up the international portion of his tour and heading back to the States. 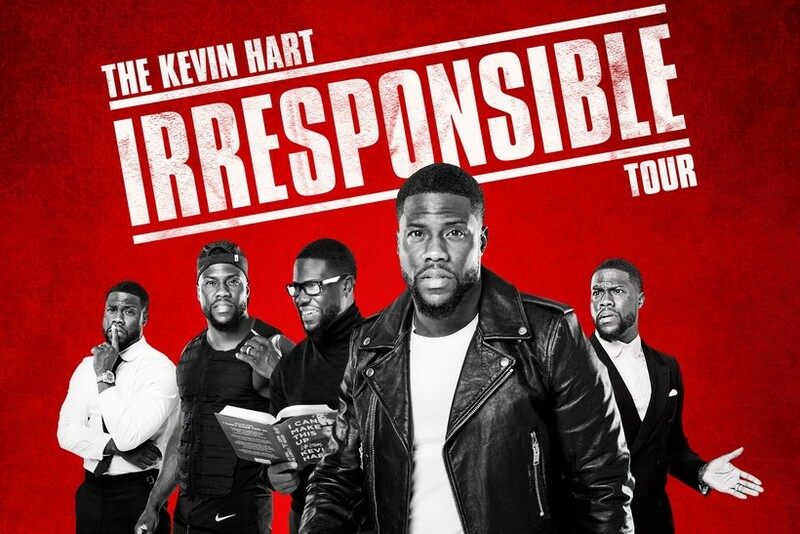 With signature Kevin Hart tomfoolery on the cards, let the man himself enlighten you on irresponsibility.